The Center has developed a comprehensive Ergonomics Resource Guide Portfolio to assist engineers and designers specify both physical and cognitive ergonomic parameters. These parameters may be for new or existing designs and include the follows characteristics: Anthropometry, Human Strength, Manual Materials Handling, Product Design, Workplace Design, Cognitive Work Design, and Environmental Guidelines. 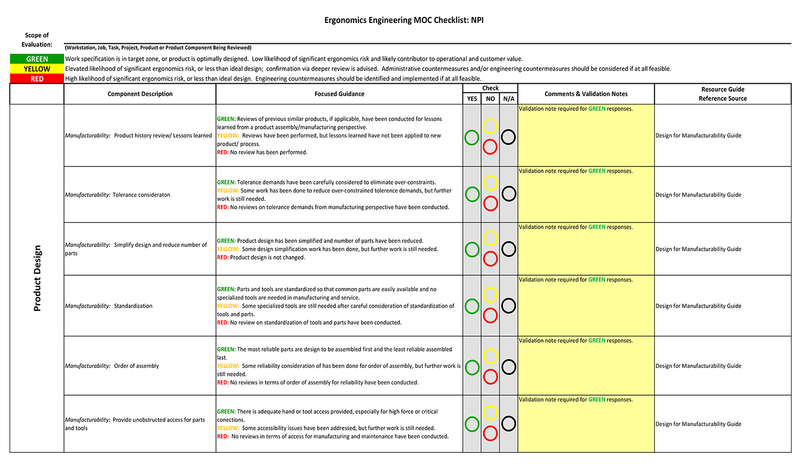 The guide portfolio is supplemented by a checklist which systematically leads the engineers or designers to consider all appropriate ergonomics characteristics in their design process. 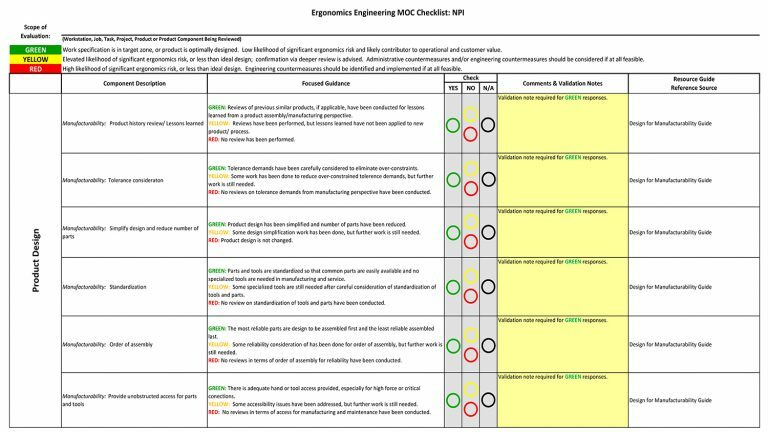 The checklist further categorizes each design element as Green/Yellow/Red based upon the likelihood of significant ergonomics risk. This ergonomics design guide portfolio and checklist packet combines the most current physical and cognitive research available today as compiled via a unique collaboration of researchers at several leading universities, certified ergonomists from three consulting firms, and highly experienced practitioners in private industry.